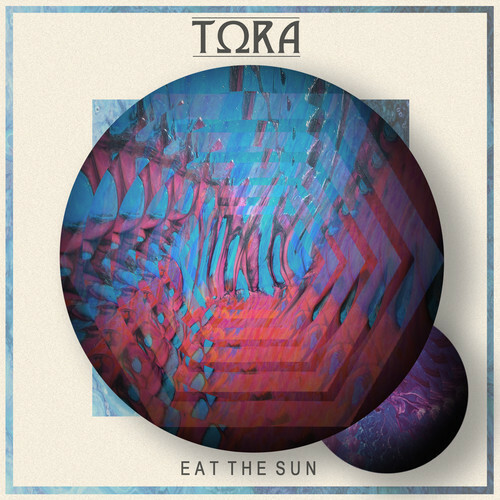 Off the back of playing at Splendour In The Grass and announcing a headlining national tour, chillwave/electro 5-piece from Byron Bay, Tora, have just released their sophomore EP Eat The Sun. The seriously soothing and entrancing collection of tracks took 6 months in the making- and it’s so damn good! The entire production is intricately layered and absolutely delicious- much like a good cronut; each layer (track) adding a vital component to the whole creation. Tora is made up of Tobias Tsounis, Jo Loewenthal, Jai Piccone, Thorne Davis and Shaun Johnston. Tip-toeing scales open the first track of the EP, Sugar Snap. Dripping melodic instrumentation and elevating variation of percussion bring an exciting and furtive element to the track. The buoyant introduction sets a high standard for the following. My personal favourite off the EP is Jaigantic. I don’t know what it is that draws me in so much- it may be the contrast between saturation and stripped back segments; it might be the smooth and emotive delivery of the vocals; or maybe it’s the fact that this is a song that’s easy to listen to anytime of the day, no matter what you’re doing. A minimalist beginning is soon invaded by raindrop-like synth and a delicate trap-inspired drum-line. The track resonates SOHN majorly, featuring uncluttered beats and elusive vocals. Surround begins with a meandering demeanour and dreamy experimental percussion which is eventually saturated in luscious synth. The introduction of the electric guitar brings an element of groove which uplifts the track. Although Surround harnesses so many potentially overbearing elements, the cohesion between all is impressive and satisfying. Never With Me features Meals and fellow Byron Bay-er Merryn Jeann. The lively opening leads into the raw vocals of Jeann and is then sent through a whirl of engrossing synth underpinned by a staggering beat. My favourite section of this track is the slight 60’s jazz twist the group and Merryn add towards the close. Although many of the elements and techniques in the tracks are very similar, each song seems to possess their own vibe and emotions. Each track holds a harmonising level of tranquillity and chaos which I find to be really impressive. It’s the perfect soundtrack to anything you do in life, really. I have definitely been converted into a Tora fan. Catch them on their upcoming headlining national tour!